Muckross House is best known for its parkland setting beside the Lower Lake at Killarney, but the house is also worthy of its location. It was built between 1839 and 1843 for Colonel Henry Herbert to a design by the Scottish architect William Burn, who was just beginning to establish himself as a country house architect. 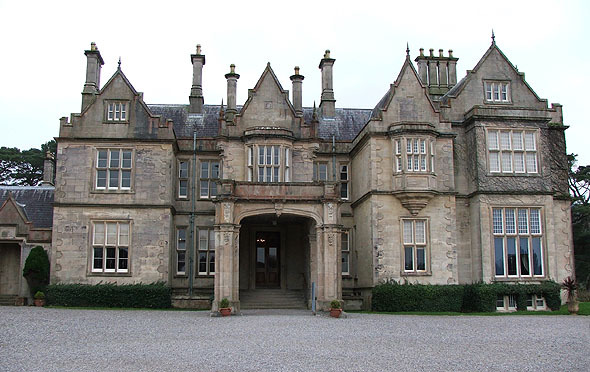 Muckross is also a highly successful example of the Elizabethan Revival style, then very popular in Ireland. Its great array of tall chimneys, oriels, stepped gables, finials and mullioned windows are all skilfully integrated into a crisp composition. Visitors enter the building through a porte cochère added by the Cork architect William Atkins around 1870. The interior was built with the same magnificence of the exterior, though sadly the rooms have now lost most of their original Victorian furnishings. 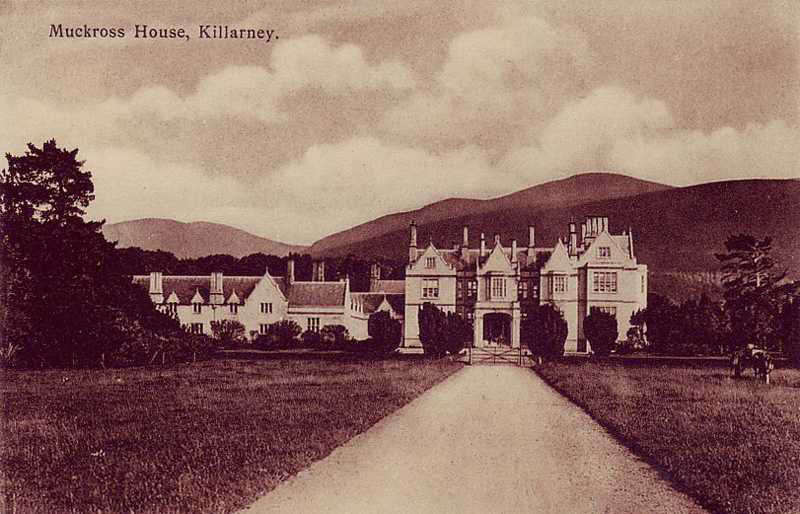 Major H. A. Herbert, whose family had lived at Muckross since the early eighteenth century, was forced to sell the property in 1899 after he ran into serious financial difficulties. 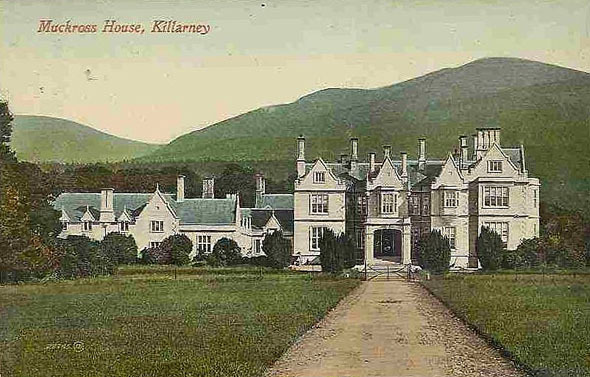 It was bought by Lord Ardilaun, a member of the Guinness family, and sold again in 1910 to William Bourn, a rich American gold miner who gave the house as a wedding present to his daughter Maud and her husband Arthur Vincent. Maud died of pneumonia in 1929 and three years later her husband bestowed Muckross together with the 11,000-acre estate upon the nation on the understanding that its peace and tranquillity would never be disturbed by the sound of motor cars.